This is a sale for a brand new genuine 97-01 JDM Honda Prelude Type S H22A H22Z Throttle Body Assembly (GR64A) from Honda Motors, Japan. 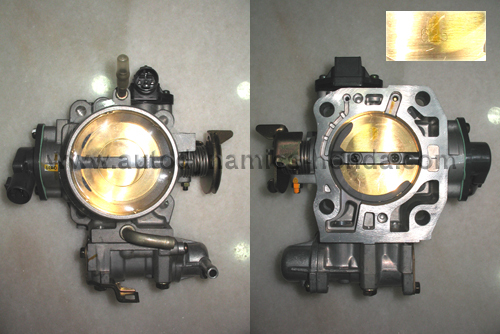 This throttle body assembly comes with a Throttle Position Sensor (TPS), Manifold Absolute Pressure (MAP) Sensor and Fast Idle Thermo Valve. It will fit all manual transmission H22A and B-series DOHC VTEC motors with the same configuration. This JDM Honda Prelude Type S throttle body assembly has a 66mm front side internal bore and a 62.5mm rear side internal bore. This is a genuine Honda Prelude BB6 Type S Throttle Body Gasket from Honda Motors, Japan. Specially for sale ONLY with throttle body assembly purchase.